While Film Stars Don’t Die in Liverpool which opens today, December 29th, is technically a 2017 film release, it opens so late in the year that I could have included it in the list of Movies Based on Books 2018. The film was based on the memoir by Peter Turner and stars Annette Bening as movie star Gloria Grahame with Jamie Bell as the young actor with a crush on the aging star. What begins as a fling turns into something much deeper. I’ve yet to see the movie but I’ve glanced at the headlines for a smattering of reviews and what I gather is that the film doesn’t quite live up to Annette Bening’s talented take on the star she plays. And that if there is a reason to see it, Bening’s performance is it. It sounds like something interesting happens as Bening allows us to see her taking off her own mask. The actor is 59, not an easy age for women in Hollywood. As an aging woman myself—I’ve got 5 years on Bening—the subject is of particular interest. I won’t go down that mopey road here. Annette Bening, Jamie Bell and the movie’s director sat down with THR to chat about the film. I’m intrigued. How about you? 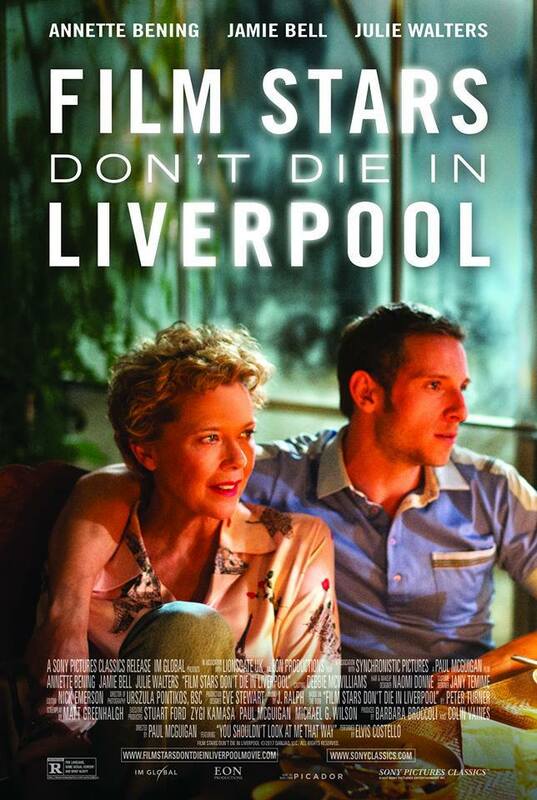 Check out the trailer and let me know if Film Stars Don’t Die in Liverpool is on your must see list. Are you a fellow fan of all things British? Check out Joy Weese Moll’s British Isles Friday. That was a great interview, I'm glad you posted the video. What a great story, I think I want to get the book first. I like Annette Benning but don't think I have seen Jamie Bell in anything. Love the accent!